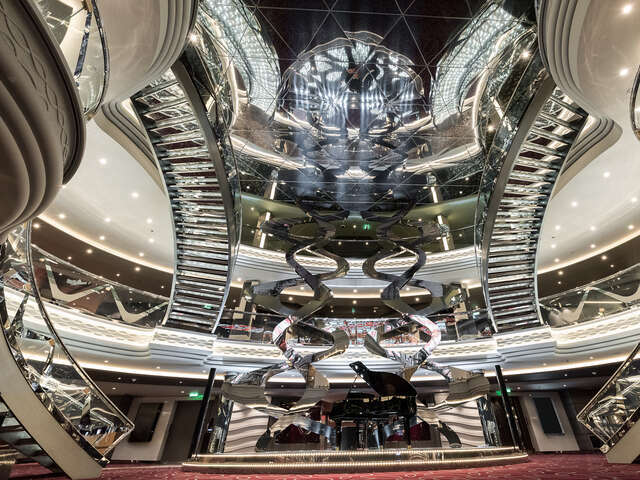 There's a new Wonder at Sea. The MSC Meraviglia. If your language skills are rusty, that's Italian for 'wonder', and this European cruise line's new flagship is a wondrous destination at sea for five thousand guests. The MSC Meraviglia is the biggest ship to be built by a European ship owner, and also the biggest cruise ship to come into service in 2017. The 13th addition to the MSC Cruises fleet brought wonder to the northern French port of Le Havre for her christening in a glittering event. Italian screen legend and fleet godmother Sophia Loren, accompanied by a parade of the ship's officers, cut the ceremonial ribbon in a time-honored crescendo of champagne and fireworks. The MSC Meraviglia is the first of six new ships for MSC's between 2017 and 2020, a massive fleet expansion giving the cruise line the opportunity to introduce innovations in technology, design and experiences. Cirque du Soleil's first cruise line partnership: Cirque du Soleil at Sea. The world-renowned entertainment company has created two exclusive shows just for MSC Meraviglia. With two performances six nights a week, guests can enjoy a unique show and dinner or cocktail & show experience. 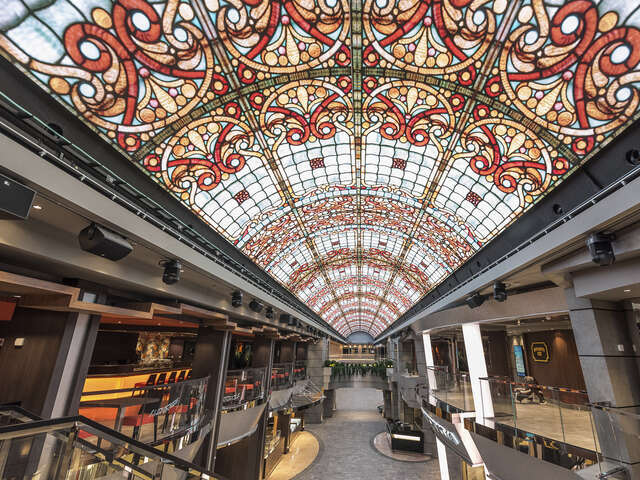 The longest LED Sky Screen at Sea in the Meraviglia's Galleria: 262 feet of LED sky creates an awe-inspiring atmosphere in a stunning 315 foot long Mediterranean-style indoor promenade, designed to become the social hub of the ship. It's a round-the-clock display of stunning visuals and effects. The MSC for Me suite of smart features that enhance your cruise: navigation and geo-located wayfinding, a digital concierge for on board, real-time bookings, planning schedules, and tailor-made recommendations to your preferences. The Emotions immersive gallery is a tunnel of oversized video and photo walls. As you move through the tunnel, you're surrounded by cruise events and you can interact with the walls, searching for you and your loved ones amongst the imagery and experiences. 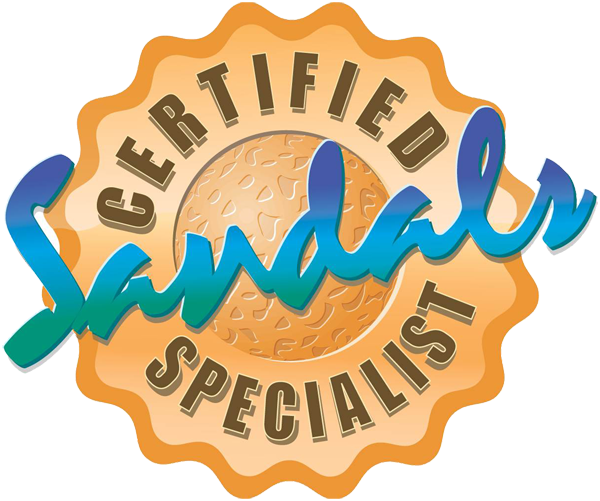 MSC shows its roots as a family-owned company in its commitment to kids’ activities and a dedicated family deck area. Furthermore, the technology that is a signature of the ship extends to its youngest guests too: Kids get to participate in MSC for Me, too, with wristbands that enable parents, crew and staff to locate and monitor their kids as they participate in their own programs and activities on the ship. The cruise line's 'luxury ship within a ship' MSC Yacht Club formula appears on the Meraviglia too, with new features and premium accommodations spanning three decks, with private facilities, available amenities, and butler service round-the-clock. Widest range of dining options and bars on any MSC Cruises ship to-date with 12 dining venues and 20 bars: you'll be delighted to find an authentic American steakhouse, Teppanyaki and Sushi restaurants, and a continued partnership with Italian eatery Eataly. Configurations for every type of cruise traveller, including modular staterooms, accommodations for solo travelers and suites in the MSC Yacht Club. The Meraviglia is designed for multi-generation family travel where everyone is comfortable and feels at home. 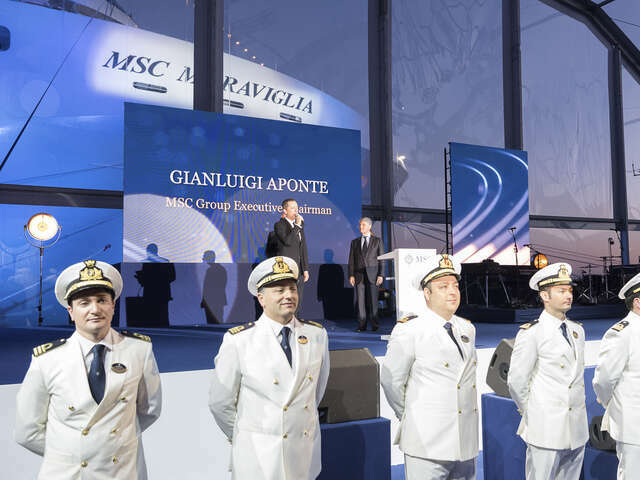 Following her christening, the MSC Meraviglia departed on her maiden voyage from Le Havre to Genoa, Italy. 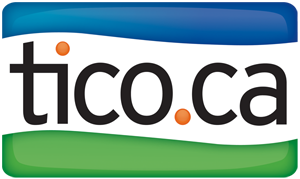 She spends the summer of 2017 sailing Mediterranean itineraries, including popular Western Mediterranean ports of call Genoa, Marseille, and Barcelona and as well as more unique ports like Naples, Messina in Sicily and Valetta in Malta.